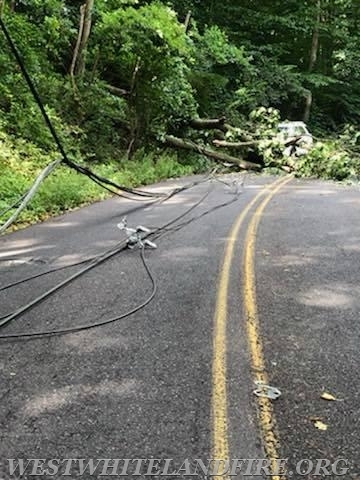 At 5:44 PM, the West Whiteland Fire Company was dispatched to an accident with wires down on the vehicle. 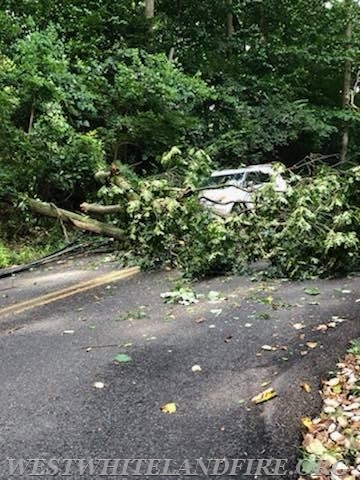 Whitford Hills Road is closed between Cole Brook Road and Old Kings Highway. Power is out in the area as a result. Safety Note If you find yourself in his situation, your vehicle is the safest place to be. Wait until the power source is secured before exiting the vehicle.